The Winning Team that keeps FR on the Air @ 100 FM! Mokun Njouny Nelson holds a first degree in Public Law from the University of Yaounde. He attended Presbyterian Secondary School (PSS) Mankon and Cameroon College of Arts Science and Technology, CCAST Bambili in his college years. He worked respectively for The Socialist Chronicle, The Herald, The Mail and Dikalo newspapers. Among the highlights of his career include his coverage of the Commonwealth Heads of States and Governments meeting in Abuja in 2003 and the 2nd Africa Meeting of the International Chamber of Commerce, ICC, Accra-Ghana, in 2001. He is the current secretary general of the Cameroon Employed Journalists Association, CEJTU and is involved in a number of civil society activities. Winnie presently serves TFF/FR as the Administrator in charge of Personnel and Finance. As personnel manager, and one that pays particular attention to employee relations, her very accommodating and friendly attitude makes a huge positive impact on staff morale. As part of the management team, Winnie coordinates the interviewing and recruitment of new staff, salaries, and career development. Winnie graduated from the higher teachers training college, ENS Bambili, where she conducted extensive research on "Poverty Alleviation in Cameroon" in collaboration with the United Savings and Agricultural Bank and obtained a Diploma in Education. Subsequently, Winnie studied at the University of Dschang and obtained a Bachelor of Science (BS) degree in Economics. She is currently pursuing courses on website design. Christopher Forgwe, formerly Station Manager is now Senior Advisor for both FR and The Fomunyoh Foundation. Chris cut his teeth in radio stations in Recife, Brazil; Senders Freis, Berlin; Radio Voice of Germany; The African Institute for Economic Development (INADES Formation); Kampala and Mbarara in Uganda; and the National Station of Radio Cameroon. In his over a decade career with Radio Cameroon (CRTV), Chris produced programs for the educational department, and headed the service for school broadcasts. Chris graduated on the Dean's list with a Bachelor's Degree in Fine Art and Humanities from Hope College in Holland, Michigan (USA), and obtained a Diploma in manpower administration from the State of Michigan's MTU. Fondly referred to as “Daddy Chris”, one of his ambitions is to continue to spur the team of highly talented staff to stay on the pinnacle of broadcasting within the Northwest Region of Cameroon. He spearheads programs on the arts and music, conducts interviews with dignitaries and VIPs, and moderates round table discussions with specialists, practitioners and grassroots activities on topics related to agriculture, health, rural development, the environment, and music across cultures. After his High School education where he headed the Journalism Club, he pushed his ambitions further and enrolled into the Fonlon Journalism Institute Douala. He then worked for the Ocean City Radio in Douala, Cameroon's economic capital before moving over to Foundation Radio. "Andy Beck" is he is fondly called by his fans is a very entertaining animator. His animates the "City Jamming" and "Pidgin news", one of the radio's most highly listened programmes. She is a graduate from the University of Buea Department of Journalism and Mass Communication. Very programme-dynamic she can fit into any service at very short notice. She presently oversees the magazine service of Foundation Radio where her star programme "Whispers" has turned out to be a lullaby to Bamenda city dwellers. Landzeh Verla Vernyuy holds a Higher National Diploma (HND) and a B.A in Journalism from the National Polytechnic Bambui, in the North West Region of Cameroon. After graduation in 2012, he has practiced in some media organs across the country including the Helenkriss Radio and Helena television kumbo and L.T.M Television in Douala. He is currently a member of the News Service of Foundation Radio and has taken special interest in sports and international affairs. Neba Anyangwe was born in Kumba in the South West Region of Cameroon some 26 years ago. He did his primary education in Presbyterian School Akoh Bambili and proceeded to CCAS Kumba for his Secondary and High School education. On completion he enrolled at the National Polytechnic Bambui Bamenda for professional studies in Journalism and Media. He worked with NESICAM Construction Bamenda as public Relations officer, Flash Television Kumba, African Centre for Communication and Development/Ocean City Radio with head quarters in Limbe Currently with the Foundation Radio is very present in the News and Magazine services and has been acclaimed as a prolific animator. He is from Bafut in the North West Region of Cameroon. Arnold D.J holds a License en Communication from the Yaounde Institute Siantou. He is a prolific D.J that who has changed the animation landscape of the capital of the North West Region since he started working for Foundation Radio. The he animates in the French Language, his programmes "Embouteilage" and "L'axe Lourd" has become favourite to the dominantly English speaking population of the Region. 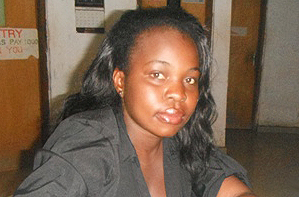 Walters holds a diploma in communication from the school of Post and Telecommunication in Buea. He loves working long hours and never complains about late relieves from his shift. His energetic approach to work has earned for him the nickname of 'Wally the Tiger'. He is likeable and easy to get along with, a characteristic that serves him well on a small team that often works under pressure. Julius Tendong specialized in audio/video editing, software management and electronics maintenance and obtained a diploma from the Ndifotronic High Tech Bamenda in the North West Region of Cameroon. His expertise and ingenuity has been resourceful for the technical installations at Foundation Radio. She is one of the longest-serving staff and joined the station after her High School education. Slow but steady, she is involved in selling the image of Foundation Radio and canvassing for sponsors. He is a welder by training and is in charge of logistics at the Fomunyoh Foundation. His fatherly and serviceable nature has earned him the pet name "Ni", an affix used in the North West Region only to those who command a certain degree of social respect.